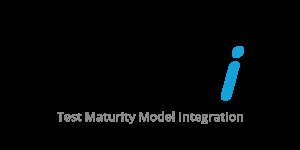 TMMi (Test Maturity Model Integration) describes a model that can be used to check software quality, even at the higher levels of the software lifecycle. This continually improves not only the quality of the software, but also that of the tests. The internationally recognised TMMi® Test Maturity Model Integration Professional certification attests to your comprehensive knowledge in the field of software testing. How do I obtain the TMMi® certification? To be certified you must pass the TMMi® - Professional certification exam. You can prepare for the exam by attending a training course with a registered TMMi® training provider for the TMMi® Test Maturity Model Integration Professional certification; participants will have relevant content and topics clearly explained and taught to them. The syllabus covers the basics of test improvement, as well as an introduction to the TMMi model, including structure, assessment and implementation.The exam is also available on Pearson Vue for those who want to self-study.